An ADA-compliant Mother’s Room at O’Hare International Airport opened late last week on the mezzanine level of the Rotunda Area, in Terminal 3 near the Yoga Room and O’Hare’s urban garden. Terminals 1, 2 and 5 at ORD are also scheduled to get Mother’s Rooms before the end of the year. Chicago’s Midway Airport opened a room for nursing moms with comfortable seating, a sink, wash area and wall-mounted TV in September 2014 (on Concourse C, next the Yoga Room) and a new law signed over the weekend by Illinois Governor Bruce Rauner will require all airports in the state to eventually offer this amenity. 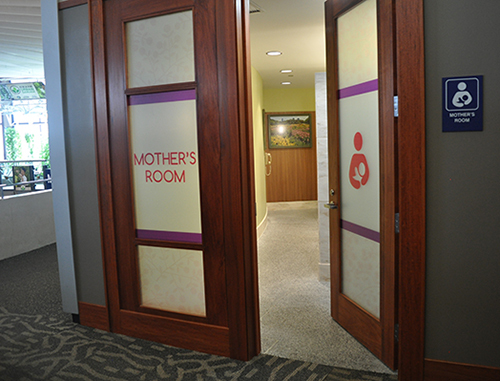 Lactation facilities are becoming a popular amenity at airports, with special rooms for this purpose now at Dallas Love Field, Phoenix Sky Harbor, Minneapolis-St. Paul International Airport, Nashville International Airport and elsewhere. 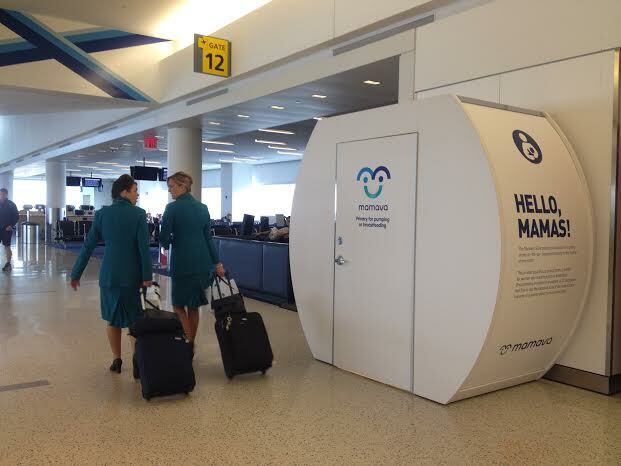 Vermont’s Burlington International Airport, Milwaukee’s General Mitchell International Airport, and New York’s JFK and LaGuardia airports and Liberty Newark International Airport have stand-alone lactation pods by Mamava. U.S. Rep. Tammy Duckworth of Illinois is promoting the Friendly Airports for Mothers (FAM) Act, which would require large and medium airports nationwide to provide lactation rooms. The legislation would require all large and medium hub airports in the U.S. to provide a private space in each terminal, accessible to people with disabilities, where mothers could go to express breast milk. FAM would give airports two years to comply with the legislation and allow them to use Airport Improvement Program funds for the purpose of complying with the new requirement.